Originally graduating with a BA in Information Technology and Economics from NUIG, Pauline returned to NUIG and completed a Post Graduate Course in Systems Analysis and Design (Business Systems Development). Pauline has over 10 years of experience in system support, architecture design, project management and service delivery, with much of this experience gained in a highly regulated Financial Services Sector with a key focus on innovation, excellence and the ability to put the client first. 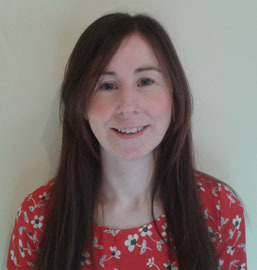 Pauline joined the ICT Services Division in Mary Immaculate College in 2014. Following a number of promotions in quick succession, Pauline is currently a senior Analyst Programmer within the division and has responsibility for the management and delivery of key systems and applications including SharePoint, the College’s Virtual Learning Environment, E-Portfolio System and associated integrations and authentication mechanisms.